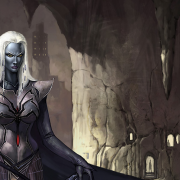 Rumors of demonic activity in the Underdark have reached the surface through whispers and hushed tales of violence. 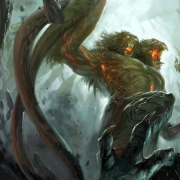 King Bruenor sends his friend Drizzt Do’Urden to find out what’s happening beneath the surface but it becomes all too clear when the demon lord Demogorgon ravages the drow city of Menzobarranzan. The Horned Lord Baphomet toys with victims in the vast maze of the Underdark and the Demon Queen of Fungi Zuggtmoy plans to join with a massive city-sized fungus in an insane marriage ceremony. 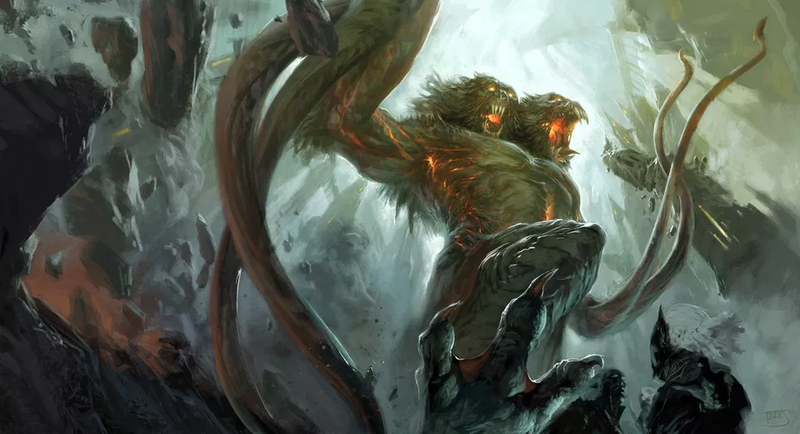 Yeenoghu, the Demon Lord of Gnolls, wanders the dark, spawning new gnoll servants from his kills to continue the destruction, while the demon lords of lust and deception prey on the weak-willed peoples of the Underdark. In the madness of the dark, who will be the light to shine against the demons? The races of the deep vie against the demons but there are few allies in the Underdark among drow, mindflayers, duergar and deep gnomes. 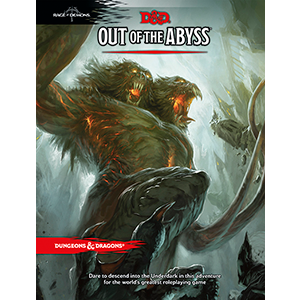 Drizzt Do’Urden and the magical panther Guenhwyvar are dedicated to tracking Demogorgon and putting a stop to his reign of madness but it’s even more crucial to find out why the demon lords came out of the Abyss at all. Who is responsible for the chaos that’s been unleashed? Solve the mystery before the demons reach the surface. Dare to descend!